1. 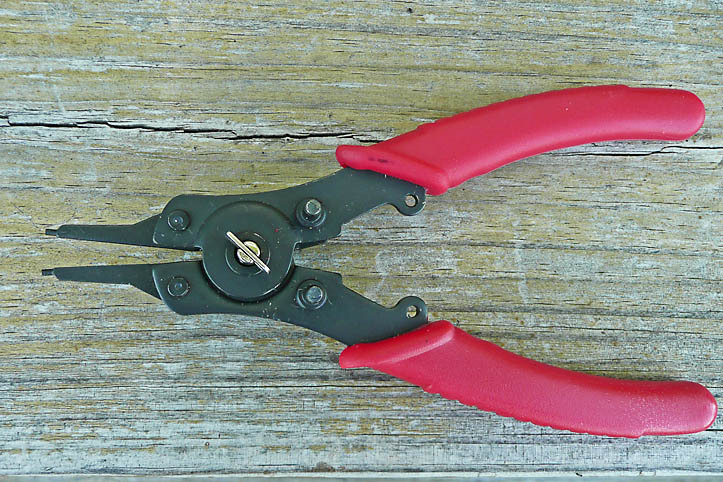 The opening tool is C-clamp pliers that you can get at any hardware or auto parts store. 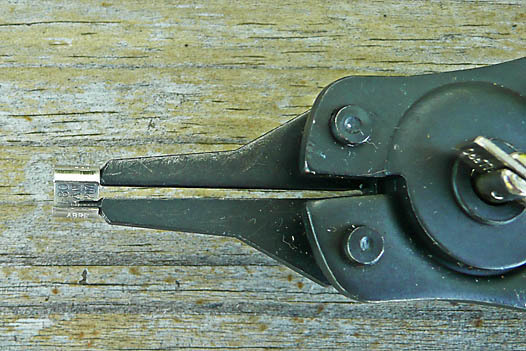 C-clamp pliers operate the opposite of regular pliers in that the jaws open when the handles are squeezed. 2. This tool seems to open the band pretty evenly. Try to open it just enough to apply and then it will close better. 3. To close it we put the band on and squeeze it closed, then turn it 45 degrees and squeeze it closed again. Normally I hear a click, and then the band is completely closed and stays that way. I find that if I don't do the 1/4 turn, no matter how hard I squeeze the band, it springs open slightly when released. 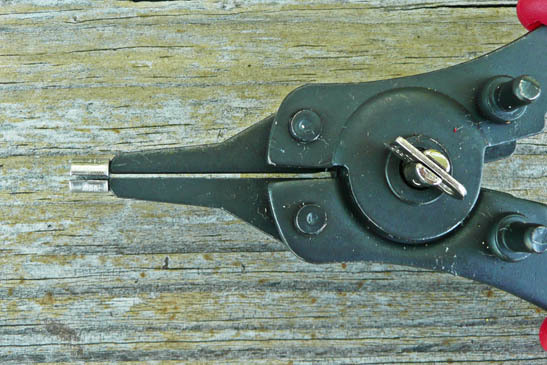 You can see we tried to have a machine shop put opening posts on our pliers after market, but it's not usable.